The giant Hyatt Hotels has today reported fourth-quarter 2018 financial results. 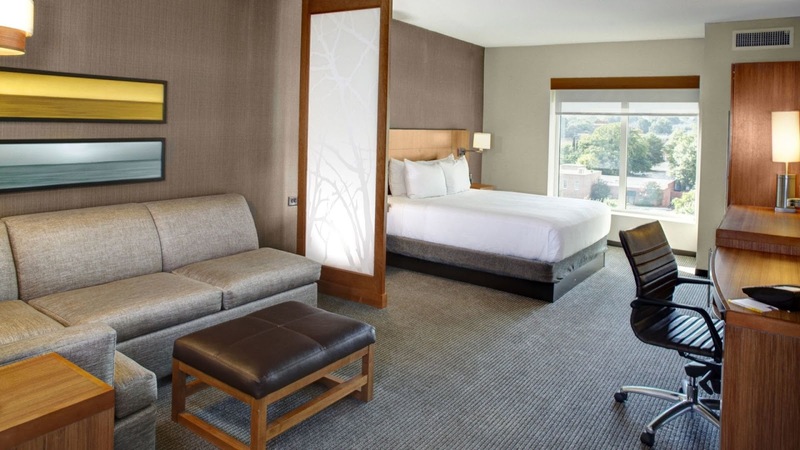 Net income attributable to Hyatt was $44 million, or $0.40 per diluted share, in the fourth quarter of 2018, compared to $213 million, or $1.75 per diluted share, in the fourth quarter of 2017. Net income in the fourth quarter of 2017 included a $217 million gain from the sale of Avendra, LLC, an equity method investment, and $58 million of incremental tax expense attributable to recent U.S. tax reform. 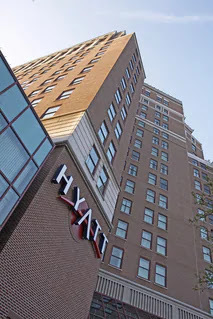 Adjusted net income attributable to Hyatt was $69 million, or $0.62 per diluted share, in the fourth quarter of 2018, compared to $6 million, or $0.06 per diluted share, in the fourth quarter of 2017. Refer to the table on page 4 of the schedules for a summary of special items impacting Adjusted net income and Adjusted earnings per share in the three months ended December 31, 2018. Mark S. Hoplamazian, president and chief executive officer of Hyatt Hotels Corporation, said, "We had a very strong 2018 driven by another year of double-digit growth in management and franchising fees, nearly offsetting the earnings decline in our owned & leased segment, resulting from over $1.0 billion of asset sales. We successfully closed the acquisition of Two Roads Hospitality LLC, adding five new compelling brands into the Hyatt portfolio and significant future growth opportunities." Net income decreased 79.2% to $44 million. Adjusted EBITDA increased 5.0% to $182 million, up 6.8% in constant currency. Comparable system-wide RevPAR increased 1.5%, including an increase of 3.0% at comparable owned and leased hotels. Comparable U.S. hotel RevPAR increased 0.9%; full service and select service hotel RevPAR increased 2.6% and decreased 3.0%, respectively. Comparable owned and leased hotels operating margin increased 240 basis points to 25.1%. Adjusted EBITDA margin increased 280 basis points to 28.7% in constant currency. Net income increased 97.5% to $769 million. Adjusted EBITDA decreased 1.9% to $777 million, down 1.7% in constant currency, reflecting significant transaction activity. Comparable system-wide RevPAR increased 3.1%, including an increase of 3.6% at comparable owned and leased hotels. Comparable U.S. hotel RevPAR increased 2.0%; full service and select service hotel RevPAR increased 2.8% and 0.2%, respectively. Comparable owned and leased hotels operating margin increased 140 basis points to 24.1%. Adjusted EBITDA margin increased 190 basis points to 30.9% in constant currency. Net rooms growth was 13.6% in 2018, compared to growth of 7.0% in 2017. Excluding the acquisition of Two Roads Hospitality LLC ("Two Roads"), net rooms growth was 7.2%. As of December 31, 2018, the Company's pipeline consisted of approximately 445 hotels, or approximately 89,000 rooms. This compared to approximately 330 hotels or approximately 70,000 rooms as of December 31, 2017. The Company repurchased 12,723,895 shares of common stock for $966 million in 2018, compared to 12,186,308 shares for $723 million in 2017. Mr. Hoplamazian continued, "We believe we are well-positioned to continue to execute our long-term shift to an asset-lighter business model. This is supported by a significant increase in our pipeline, which now stands at approximately 89,000 rooms, equivalent to more than 42% of our system, and our sustained net rooms growth of 7% or better." Total owned and leased hotels segment Adjusted EBITDA decreased 2.2% (1.2% in constant currency) including a 4.6% decrease (0.2% in constant currency) in pro rata share of unconsolidated hospitality ventures Adjusted EBITDA. The decrease in total segment Adjusted EBITDA was primarily driven by transaction activity. Refer to the table on page 20 of the schedules for a detailed list of portfolio changes and the year-over-year net impact to fourth quarter owned and leased hotels segment Adjusted EBITDA. Owned and leased hotels segment revenues decreased 10.9% (10.2% in constant currency). RevPAR for comparable owned and leased hotels increased 3.0%. Occupancy increased 100 basis points and ADR increased 1.7%. Total fee revenues increased 10.3% (12.0% in constant currency) to $145 million. Base management fees increased 11.7% to $58 million and incentive management fees increased 6.6% to $43 million, driven by new system-wide hotels and hotel conversions from owned to managed in the Americas management and franchising segment. Franchise fees increased 7.8% to $31 million. Other fee revenues increased 24.1% to $13 million. The fee contribution from the Two Roads acquisition was immaterial to the quarter's results. Americas management and franchising segment Adjusted EBITDA increased 11.6% (12.3% in constant currency). RevPAR for comparable Americas full service hotels increased 3.4%; occupancy increased 40 basis points and ADR increased 2.9%. RevPAR for comparable Americas select service hotels decreased 3.7%; occupancy decreased 230 basis points and ADR decreased 0.6%. Revenue from management, franchise and other fees increased 8.9% (9.5% in constant currency). Group rooms revenue at comparable U.S. full service hotels increased 2.7%; room nights increased 1.3% and ADR increased 1.4%. Transient rooms revenue at comparable U.S. full service hotels increased 1.2%; room nights decreased 2.0% and ADR increased 3.2%. Americas net rooms increased 13.0% compared to the fourth quarter of 2017, or 5.3% excluding Two Roads. ASPAC management and franchising segment Adjusted EBITDA increased 1.7% (5.2% in constant currency). RevPAR for comparable ASPAC full service hotels increased 2.1%, driven by growth in Southeast Asia, Japan and Hong Kong. Occupancy increased 120 basis points and ADR increased 0.5%. Revenue from management, franchise and other fees increased 10.6% (13.4% in constant currency). ASPAC net rooms increased 18.4% compared to the fourth quarter of 2017, or 13.2% excluding Two Roads. EAME/SW Asia management and franchising segment Adjusted EBITDA increased 8.8% (15.0% in constant currency). RevPAR for comparable EAME/SW Asia full service hotels increased 2.7%, driven by growth in most European markets and partially offset by weak performance in the Middle East. Occupancy increased 220 basis points and ADR decreased 0.5%. Revenue from management, franchise and other fees increased 5.9% (10.3% in constant currency). EAME/SW Asia net rooms increased 10.3% compared to the fourth quarter of 2017, or 9.0% excluding Two Roads. Corporate and other Adjusted EBITDA increased 3.9% (consistent in constant currency). Selling, general, and administrative expenses decreased 40.2%. Adjusted selling, general, and administrative expenses decreased 5.4%, primarily due to marketing initiatives completed during 2017, including master brand marketing. The decrease was partially offset by $6 million of selling, general, and administrative expenses, related to the Two Roads acquisition including $4 million of integration costs. Refer to the table on page 11 of the schedules for a reconciliation of selling, general, and administrative expenses to Adjusted selling, general, and administrative expenses. The Company's net rooms were 13.6% higher in the fourth quarter of 2018, compared to the fourth quarter of 2017. Excluding the impact of the Two Roads acquisition, net rooms were 7.2% higher in the fourth quarter of 2018 compared to the fourth quarter of 2017. During the 2018 fiscal year, the Company opened 63 hotels excluding the Two Roads acquisition, representing 14,962 rooms. As of December 31, 2018, the Company had executed management or franchise contracts for approximately 445 hotels (approximately 89,000 rooms), compared to the expectation for 340 hotels and 73,000 rooms as of September 30, 2018, and compared to approximately 330 hotels (approximately 70,000 rooms) at December 31, 2017. The pipeline of executed contracts includes approximately 35 hotels and approximately 5,000 rooms represented by the five brands acquired in the Two Roads acquisition. The pipeline of executed contracts represents important potential expansion into several new markets or markets in which Hyatt is under-represented. Refer to the table on page 19 of the schedules for a breakdown of the pipeline. In November 2018, the Company completed the acquisition of Two Roads for a purchase price of $405 million. The transaction also includes potential additional consideration of up to $96 million if the sellers complete specific actions with respect to certain of the acquired management agreements within 120 days from the date of acquisition and up to $8 million in the event of the execution of certain potential new management agreements related to the development of certain potential new deals previously identified and generated by the sellers or affiliates of the sellers within one year of the closing of the transaction. As of December 31, 2018, the acquisition of Two Roads added 65 hotel properties or approximately 12,000 rooms, along with 10 condominium ownership properties comprising approximately 1,500 units, to our portfolio, a pipeline of approximately 5,000 rooms, and the addition of five new brands. The condominium ownership properties operate under the Destination Residential Management business. As part of the Company's commitment to return meaningful capital to shareholders, the Company is increasing its quarterly cash dividend by 26.7% to $0.19 per share from $0.15 per share, representing an annualized dividend of $0.76 per share. The first quarter dividend will be payable on March 11, 2019 to Class A and Class B shareholders on record as of February 27, 2019. During the 2018 fiscal year, the Company repurchased a record $966 million of shares, consisting of 12,723,895 shares of common stock (10,293,241 Class A shares and 2,430,654 Class B shares). During the fourth quarter of 2018, the Company repurchased 4,163,883 shares of common stock (4,160,229 Class A shares and 3,654 Class B shares) for an aggregate purchase price of $292 million. The Company ended the fourth quarter with 39,507,817 Class A and 67,115,828 Class B shares issued and outstanding. From January 1 through February 8, 2019, the Company repurchased 797,415 shares of Class A common stock for an aggregate purchase price of $54 million. As of February 8, 2019, the Company had approximately $614 million remaining under its share repurchase authorization. The Company remains on track to successfully execute plans to sell approximately $1.5 billion of real estate by the end of 2020 as part of its capital strategy. To date, the Company has sold approximately $1.1 billion of real estate under the program. Total debt of $1.6 billion. 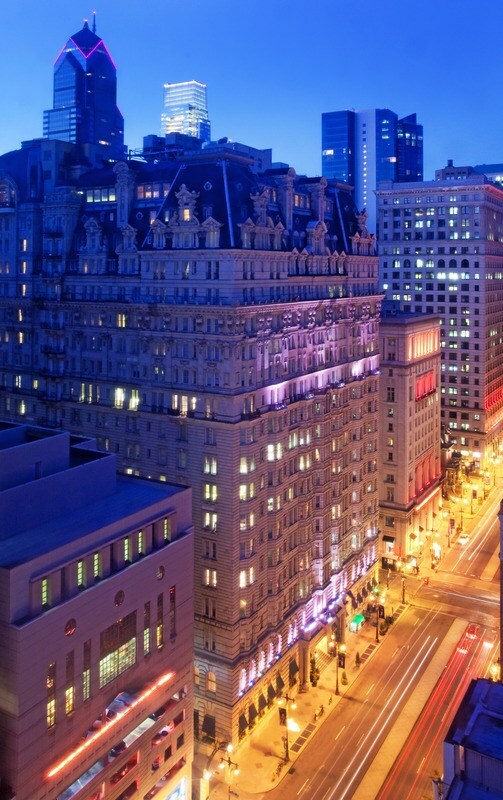 Pro rata share of unconsolidated hospitality venture debt of $528 million, substantially all of which is non-recourse to Hyatt and a portion of which Hyatt guarantees pursuant to separate agreements. Cash and cash equivalents, including investments in highly-rated money market funds and similar investments, of $570 million, short-term investments of $116 million and restricted cash of $33 million. Net income is expected to be approximately $109 million to $147 million. Adjusted EBITDA is expected to be approximately $780 million to $800 million. These estimates include an unfavorable impact from foreign currency of approximately $7 million (low end of the forecast) to $2 million (high end of the forecast). Refer to the table on page 3 of the schedules for a reconciliation of Net Income to Adjusted EBITDA. Adjusted EBITDA contribution from the Two Roads acquisition prior to non-recurring integration-related costs is estimated to be approximately $20 million to $25 million. After including integration costs, the net contribution to 2019 Adjusted EBITDA is expected to be flat to $5 million. Adjusted selling, general, and administrative expenses are expected to be approximately $345 million. This includes Hyatt selling, general, and administrative expenses of approximately $305 million, as well as selling, general, and administrative expenses associated with the acquisition of Two Roads, of which $20 million to $25 million is related to one-time integration costs in 2019. This excludes approximately $35 million of stock-based compensation expense and any potential impact related to benefit programs funded through rabbi trusts. Capital expenditures are expected to be approximately $375 million. Depreciation and amortization expense is expected to be approximately $347 million to $352 million. Interest expense is expected to be approximately $78 million to $79 million. Other income (loss), net is expected to be negatively impacted by approximately $40 million to $50 million related to performance guarantee expense for the four managed hotels in France. The effective tax rate is expected to be approximately 28% to 30%. The Company expects to grow units, on a net rooms basis, by approximately 7.0% to 7.5%, reflecting over 80 new hotel openings. The Company expects to return approximately $300 million to shareholders through a combination of cash dividends on its common stock and share repurchases. Comparable system-wide RevPAR is expected to increase approximately 1% to 3%, as compared to fiscal year 2018. No disposition or acquisition activity beyond what has been completed as of the date of this release has been included in the 2019 Outlook. The Company's 2019 Outlook is based on a number of assumptions that are subject to change and many of which are outside the control of the Company. If actual results vary from these assumptions, the Company's expectations may change. There can be no assurance that Hyatt will achieve these results. The Company will hold an investor conference call tomorrow, February 14, 2019, at 10:30 a.m. CT. Participants may listen to a simultaneous webcast of the conference call, which may be accessed through the Company's website at investors.hyatt.com, or by dialing 647.689.4468 or (toll free) 833.238.7946, passcode #9573586, approximately 10 minutes before the scheduled start time. For those unable to listen to the live broadcast, a replay will be available from 1:30 p.m. CT on February 14, 2019 through February 15, 2019 at midnight by dialing 416.621.4642, passcode #9573586. An archive of the webcast will be available on the Company's website for 90 days. Investors and others should note that Hyatt routinely announces material information to investors and the marketplace using U.S. Securities and Exchange Commission (SEC) filings, press releases, public conference calls, webcasts and the Hyatt Investor Relations website. While not all of the information that the Company posts to the Hyatt Investor Relations website is of a material nature, some information could be deemed to be material. Accordingly, the Company encourages investors, the media and others interested in Hyatt to review the information that it shares at the Investor Relations link located at the bottom of the page on hyatt.com. Users may automatically receive email alerts and other information about the Company when enrolling an email address by visiting "Email Alerts" in the "Investor Resources" section of Hyatt's website at investors.hyatt.com. Effective January 1, 2018, we made two modifications to our definition of Adjusted EBITDA with the implementation of ASU 2014-09 Revenue from Contracts with Customers. Our definition has been updated to exclude Contra revenue which was previously recognized as amortization expense. As this is strictly a matter of financial presentation, we have excluded Contra revenue in order to be consistent with our prior treatment and to reflect the way in which we manage our business. We have also excluded revenues for the reimbursement of costs incurred on behalf of managed and franchised properties and costs incurred on behalf of managed and franchised properties. These revenues and costs previously netted to zero within Adjusted EBITDA. Under ASU 2014-09, the recognition of certain revenue differs from the recognition of related costs, creating timing differences that would otherwise impact Adjusted EBITDA. We have not changed our management of these revenues or expenses, nor do we consider these timing differences to be reflective of our core operations. These changes reflect how our management evaluates each segment's performance and also facilitate comparison with our competitors. We have applied this change to 2017 historical results to allow for comparability between the periods presented. We calculate consolidated Adjusted EBITDA by adding the Adjusted EBITDA of each of our reportable segments and eliminations to corporate and other Adjusted EBITDA. Our board of directors and executive management team focus on Adjusted EBITDA as a key performance and compensation measure both on a segment and on a consolidated basis. Adjusted EBITDA assists us in comparing our performance over various reporting periods on a consistent basis because it removes from our operating results the impact of items that do not reflect our core operations both on a segment and on a consolidated basis. Our president and chief executive officer, who is our chief operating decision maker, also evaluates the performance of each of our reportable segments and determines how to allocate resources to those segments, in significant part, by assessing the Adjusted EBITDA of each segment. In addition, the compensation committee of our board of directors determines the annual variable compensation for certain members of our management based in part on consolidated Adjusted EBITDA, segment Adjusted EBITDA or some combination of both. We believe Adjusted EBITDA is useful to investors because it provides investors the same information that the Company uses internally for purposes of assessing operating performance and making compensation decisions. Adjusted EBITDA and EBITDA are not substitutes for net income attributable to Hyatt Hotels Corporation, net income, or any other measure prescribed by GAAP. There are limitations to using non-GAAP measures such as Adjusted EBITDA and EBITDA. Although we believe that Adjusted EBITDA can make an evaluation of our operating performance more consistent because it removes items that do not reflect our core operations, other companies in our industry may define Adjusted EBITDA differently than we do. As a result, it may be difficult to use Adjusted EBITDA or similarly named non-GAAP measures that other companies may use to compare the performance of those companies to our performance. Because of these limitations, Adjusted EBITDA should not be considered as a measure of the income generated by our business. Our management compensates for these limitations by reference to its GAAP results and using Adjusted EBITDA supplementally. We define Adjusted EBITDA margin as Adjusted EBITDA divided by total revenues excluding Contra revenue and revenues for the reimbursement of costs incurred on behalf of managed and franchised properties ("Adjusted revenues"). We believe Adjusted EBITDA margin is useful to investors because it provides investors the same information that the Company uses internally for purposes of assessing operating performance. Adjusted net income, as we define it, is a non-GAAP measure. We define Adjusted net income as net income attributable to Hyatt Hotels Corporation excluding special items, which are those items deemed not to be reflective of ongoing operations. We consider Adjusted net income to be an indicator of operating performance because excluding special items allows for period-over-period comparisons of our ongoing operations. Adjusted net income is not a substitute for net income attributable to Hyatt Hotels Corporation, net income, or any other measure prescribed by GAAP. There are limitations to using non-GAAP measures such as Adjusted net income. Although we believe that Adjusted net income can make an evaluation of our operating performance more consistent because it removes special items that are deemed not to be reflective of ongoing operations, other companies in our industry may define Adjusted net income differently than we do. As a result, it may be difficult to use Adjusted net income or similarly named non-GAAP measures that other companies may use to compare the performance of those companies to our performance. Because of these limitations, Adjusted net income should not be considered as a measure of the income generated by our business. Our management compensates for these limitations by reference to its GAAP results and using Adjusted net income supplementally. Adjusted SG&A expenses, as we define it, is a non-GAAP measure. Adjusted selling, general, and administrative expenses exclude the impact of deferred compensation plans funded through rabbi trusts and stock-based compensation expense. Adjusted SG&A expenses assist us in comparing our performance over various reporting periods on a consistent basis because it removes from our operating results the impact of items that do not reflect our core operations, both on a segment and consolidated basis. We define comparable owned and leased hotels operating margin as the difference between comparable owned and leased hotels revenues and comparable owned and leased hotels expenses. Comparable owned and leased hotels revenues is calculated by removing non-comparable hotels revenues from owned and leased hotels revenues as reported in our condensed consolidated statements of income. Comparable owned and leased hotels expenses is calculated by removing both non-comparable owned and leased hotels expenses and the impact of expenses funded through rabbi trusts from owned and leased hotels expenses as reported in our condensed consolidated statements of income. We believe comparable owned and leased hotels operating margin is useful to investors because it provides investors the same information that the Company uses internally for purposes of assessing operating performance. "Comparable system-wide hotels" represents all properties we manage or franchise (including owned and leased properties) and that are operated for the entirety of the periods being compared and that have not sustained substantial damage, business interruption or undergone large scale renovations during the periods being compared or for which comparable results are not available. We may use variations of comparable system-wide hotels to specifically refer to comparable system-wide Americas full service or select service hotels for those properties that we manage or franchise within the Americas management and franchising segment, comparable system-wide ASPAC full service or select service hotels for those properties that we manage or franchise within the ASPAC management and franchising segment, or comparable system-wide EAME/SW Asia full service or select service hotels for those properties that we manage or franchise within the EAME/SW Asia management and franchising segment. "Comparable owned and leased hotels" represents all properties we own or lease and that are operated and consolidated for the entirety of the periods being compared and have not sustained substantial damage, business interruption or undergone large scale renovations during the periods being compared or for which comparable results are not available. Comparable system-wide hotels and comparable owned and leased hotels are commonly used as a basis of measurement in our industry. "Non-comparable system-wide hotels" or "non-comparable owned and leased hotels" represent all hotels that do not meet the respective definition of "comparable" as defined above. We report the results of our operations both on an as reported basis, as well as on a constant dollar basis. Constant dollar currency, which is a non-GAAP measure, excludes the effects of movements in foreign currency exchange rates between comparative periods. We believe constant dollar analysis provides valuable information regarding our results as it removes currency fluctuations from our operating results. We calculate constant dollar currency by restating prior-period local currency financial results at the current period's exchange rates. These restated amounts are then compared to our current period reported amounts to provide operationally driven variances in our results. RevPAR is the product of the average daily rate (ADR) and the average daily occupancy percentage. RevPAR does not include non-room revenues, which consist of ancillary revenues generated by a hotel property, such as food and beverage, parking, and other guest service revenues. Our management uses RevPAR to identify trend information with respect to room revenues from comparable properties and to evaluate hotel performance on a regional and segment basis. RevPAR is a commonly used performance measure in our industry. RevPAR changes that are driven predominantly by changes in occupancy have different implications for overall revenue levels and incremental profitability than do changes that are driven predominantly by changes in average room rates. For example, increases in occupancy at a hotel would lead to increases in room revenues and additional variable operating costs (including housekeeping services, utilities and room amenity costs), and could also result in increased ancillary revenues (including food and beverage). In contrast, changes in average room rates typically have a greater impact on margins and profitability as average room rate changes result in minimal impacts to variable operating costs. ADR represents hotel room revenues, divided by the total number of rooms sold in a given period. ADR measures average room price attained by a hotel and ADR trends provide useful information concerning the pricing environment and the nature of the customer base of a hotel or group of hotels. ADR is a commonly used performance measure in our industry, and we use ADR to assess the pricing levels that we are able to generate by customer group, as changes in rates have a different effect on overall revenues and incremental profitability than changes in occupancy, as described above.